Exercise is an effective way to improve the body's ability to use insulin and help control blood sugar levels—important goals for people with diabetes. But how much exercise does it take to achieve these benefits? Anyone who has diabetes should get the OK for a new exercise program from his or her diabetes care team. Topics to discuss include what activity level is appropriate and what (if any) special precautions to take, based on the type of diabetes, medications, current fitness state, complications, glucose levels and other factors. 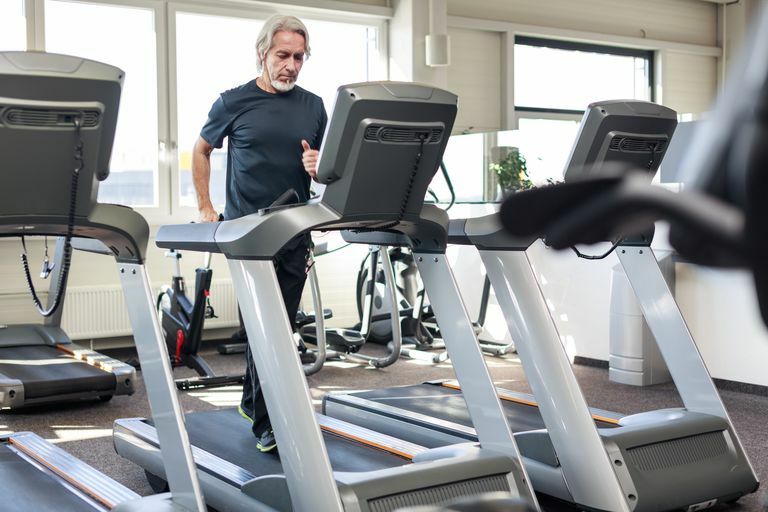 Researchers have discovered that when a muscle is exercised, it draws glucose out of the bloodstream for fuel, helping control levels of sugar in the blood. This effect continues not just during exercise, but for 24 to 72 hours afterward. For this reason, experts recommend people with diabetes exercise at least five days per week, if not every day. This ensures that the muscles draw sugar from the bloodstream continuously. Many studies of diabetes and exercise have looked at the benefits of walking (or, in some cases, biking or jogging) for about 30 minutes per session. This amount has been found to be quite effective at helping to control blood sugar. A group of Italian researchers followed a large number of people with diabetes for two years. The results of their study, published in Diabetes Care, found that people who got 38 minutes of exercise per day saw significant blood sugar benefits. Those who got about 83 minutes per day did even better. So what does all of this mean for people with diabetes? It means that 30 minutes of moderate physical activity—like brisk walking five to seven days per week—is a great goal for people trying to control blood sugar. If people with diabetes can extend any or all of those sessions to 45 to 60 minutes or more, they'll get additional benefits, including a better chance of losing weight. There's no need to start off immediately with 30 to 60 minutes of exercise daily. Anyone who hasn't exercised in a while or isn't in good shape should start off slowly to avoid injuries or discouragement. It is important to begin with only as much exercise as is comfortable, even if it's just five or 10 minutes. A minute or two should be added to each session and—within a few weeks—the exercise should last for a continuous 20 minutes to half an hour. Any physical activity that engages the large muscles and elevates breathing—known as aerobic exercise—will benefit someone with diabetes. Activities like mowing the lawn, doing housework, dancing, pushing a stroller, or walking nine holes on the golf course are just as effective as more focused fitness-oriented activities. Someone who has diabetes, is overweight, and is just starting up an exercise program will probably lose weight. Even if they don't, studies have shown that exercise helps control blood sugar regardless of weight loss. Most people find that regular exercise gives them more energy, improves sleep, boosts mood, and reduces aches, pains, and other minor health problems. Exercise also affects blood sugar levels. How much? Everybody's situation is different. Heath care providers usually recommend that people with diabetes take and record their blood glucose levels before and after exercise so that the timing of exercise, medication, and meals can be adjusted if necessary. As exercise sessions increase in length, the risk of hypoglycemia—a condition in which blood sugar drops dangerously low—increases. People with diabetes should be sure to discuss this with members of their diabetes care teams. Some people with prediabetes or type 2 diabetes are able to control their blood sugar levels solely through their exercise programs. Di Loreto, Chiara. "Make Your Diabetic Patients Walk: Long-term impact of different amounts of physical activity on type 2 diabetes." Diabetes Care: 1295-1302. "Physical Activity/Exercise and Diabetes." Diabetes Care. American Diabetes Association. "What I Need to Know About Physical Activity and Diabetes." National Diabetes Information Clearinghouse. August 2014. National Institute of Diabetes and Digestive and Kidney Disease, National Institutes of Health.